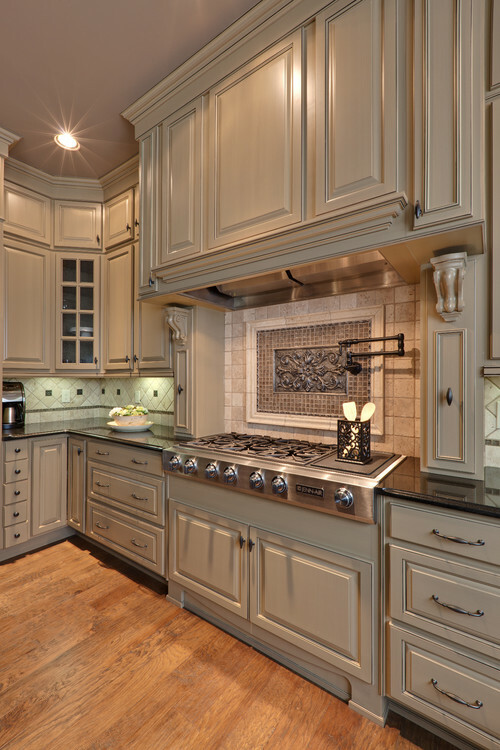 Thinking of a kitchen remodel and still want to keep that lowcountry feel? Houzz is a great site for ideas. 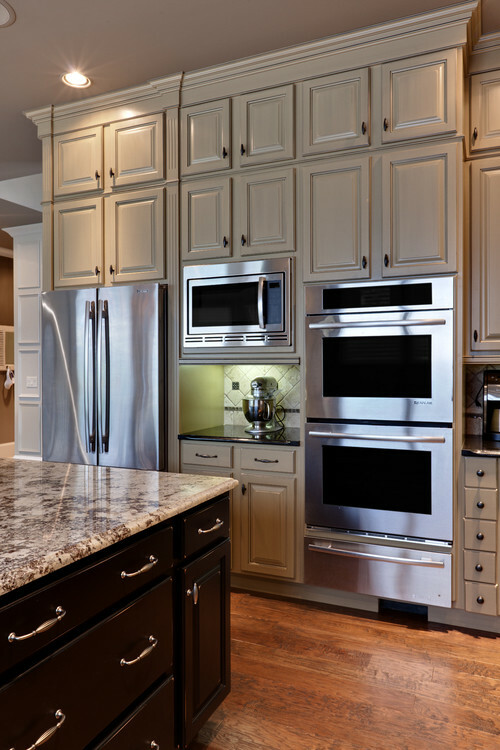 You’re sure to find the kitchen of your dreams here. I’ve included a few of my favorites. 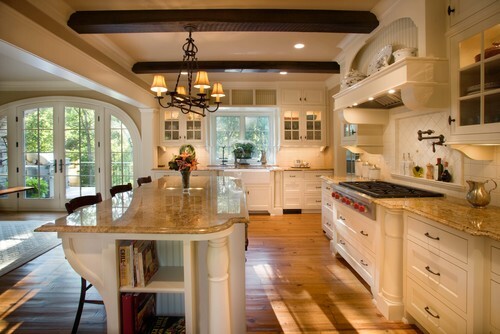 Great traditional kitchen with painted white cabinets. I’m admiring the granite and the tile backsplash. But my favorite here may just be the lighting fixtures. Black and white kitchens can be so elegant. 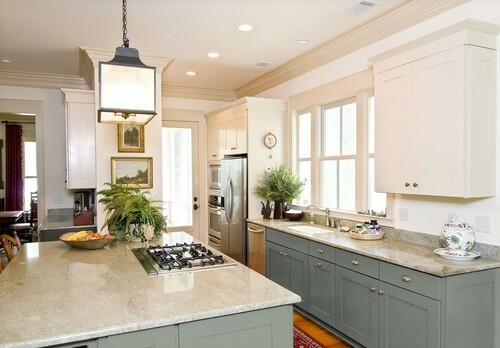 This kitchen shows great with the two large islands, granite counter tops in Cambrian black with an antique finish, mini brick marble tiles behind the cooktop and the light blue walls which are Benjamin Moore’s woodlawn blue. The cabinets are painted Benjamin Moore’s decorator’s white. Here’s another pretty white kitchen. The neutral granite looks great with the pine flooring. I especially like the exposed beams. Here’s a nice color option. Looks like a seagrass color. 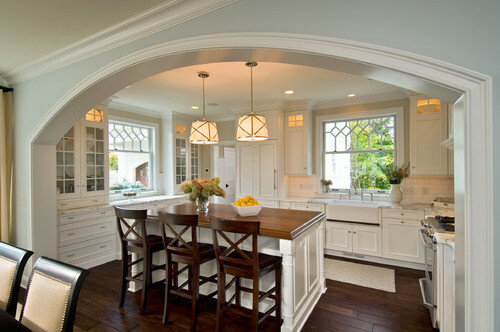 Really like the custom design windows in this kitchen and the pendant lights. Looks like the lighting can be found here. 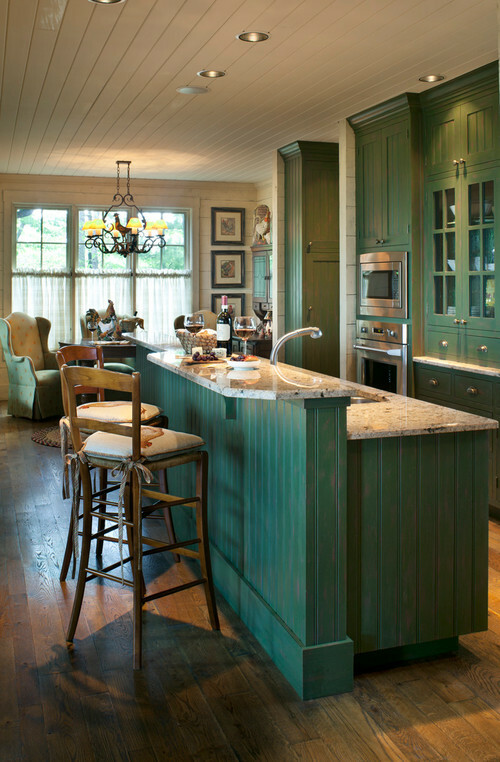 Great coastal colored cabinetry. These cabinets are made by Mullet Cabinet ~ Cheseapeake Blue from the Heritage Collection. They look great with the black granite. Another blue option. 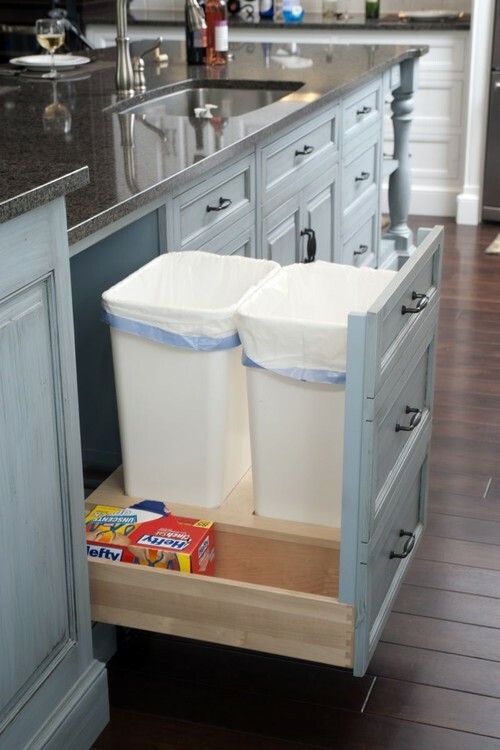 The upper cabinets are a rich cream color while the base cabinets are a version of blue. The cabinets are Shaker with the Rockford door. The base color is harbour. Here is a green option. The cabinets are Orleans style in a French Country/Mint. 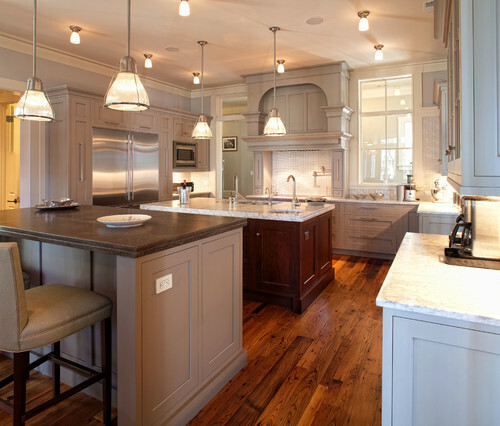 This kitchen is a nice mixture of light and dark. I really like the banquet with the nailhead detail. Grey and black kitchen with contrasting granite countertops.